"Embarking on a major building project may seem a little daunting at first, particularly for those who are new to restoration. Abruzzo Property Italy have already helped many clients, both in Molise and Abruzzo. We can introduce you to local surveyors, builders and tradesmen who can help and give advice." The above prices are for guidance only and are per square metre. The installation of a swimming pool will cost from €25,000, depending on the liner material, size, heating and filtration pump. It will need planning approval. Above ground pools do not need permission. Geometra/Architect/Geologist fees, planning costs and fees for tradesmen need to be considered too. As regards to the electricity and water connections, costs can vary depending on how far from the property the service is located. If the utilities are not on site it is advisable to obtain a formal quote as there are many factors that can affect the price. An example of this is whether the land is rock or soil. The materials to be used during the restoration work are chosen directly by the client. 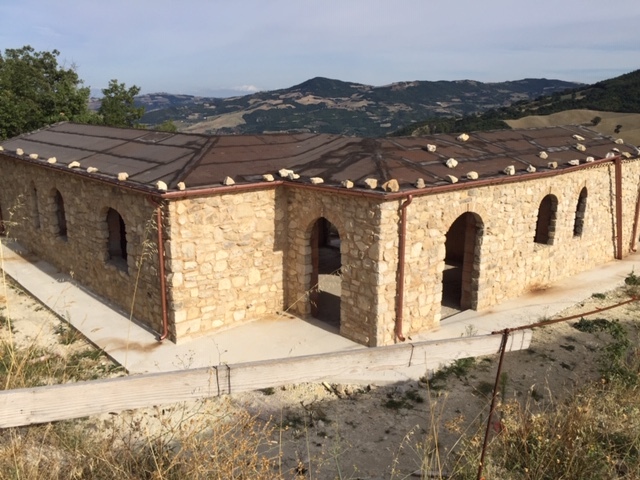 Why are there properties to restore in Abruzzo and Molise? 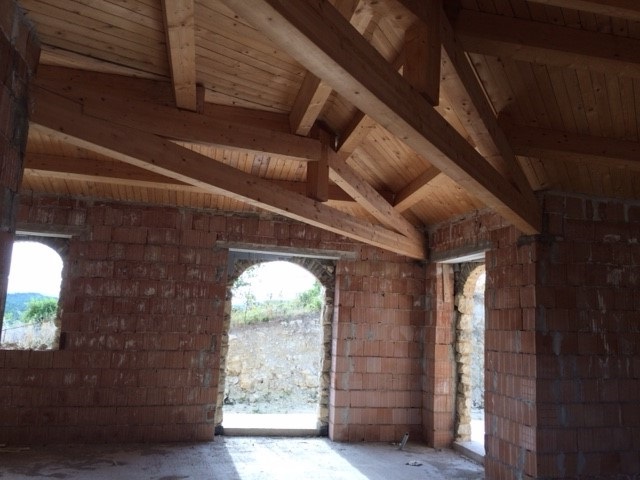 As recent generations have left Abruzzo and Molise to pursue careers in major Italian cities or overseas, they have left properties, which have often remained empty for years, and have fallen into disrepair. This means that there are many ruins, country properties and even townhouses that are for sale and in need of restoration. Before embarking on a restoration project, it is important to determine the extent of works that are required, together with the potential cost. In some cases, it can be more expensive to renovate than to buy a property which is already restored or embark on a new build. The cost certainly needs to be considered when making your decision. 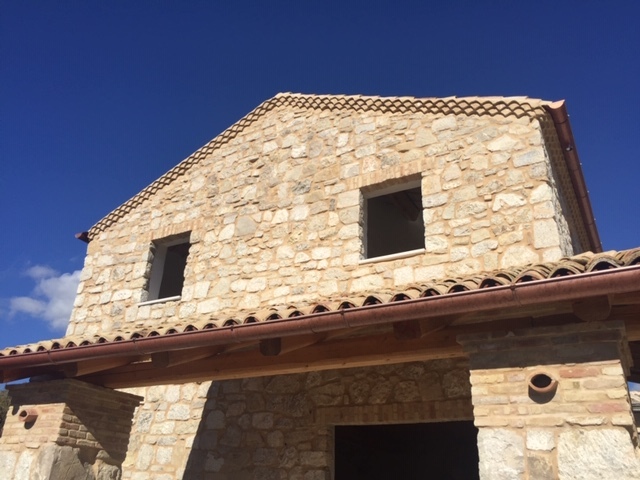 Of course, the main advantage of restoring, is that you can tailor the property to become your idyllic home by incorporating your own style and needs. It provides the chance to work with professionals to agree a design, choose building materials and select finishes. 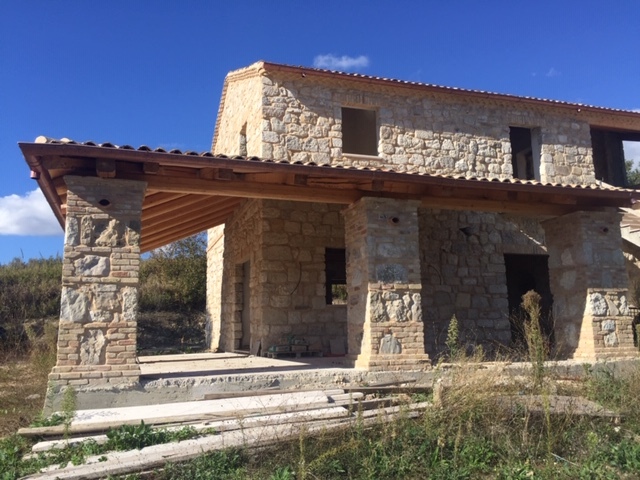 -	The property is a plot of land or ruin and requires a new build. To keep costs low accessibility to a road for delivery of materials is preferable. Electricity and water should be on site or close by. -	The property has some structural issues and needs to be partially or entirely rebuilt. -	Structurally, the property is sound but probably needs a new roof, flooring, doors, windows, plumbing system, rewiring, heating system and plastering. -	The property needs modernisation which may include the installation of central heating, rewiring, kitchen or new bathroom. -	The property is habitable but only requires general maintenance such as painting and decoration. It should be noted that Italian property owners often take the kitchen appliances and units with them, when moving. Embarking on a major building project may seem a little daunting at first, particularly for those who are new to restoration. Abruzzo Property Italy have already helped many clients, both in Molise and Abruzzo. We can introduce you to local surveyors, builders and tradesmen who can help and give advice. If you are away during the works we can project manage on your behalf by attending meetings, overseeing the build and keeping you up-to-date with progress, including photographs. For existing properties, we would advise that you have a structural examination before you purchase. This will cost approximately €600. The next stage is to employ the services of a Geometra or surveyor. It is his/her responsibility to prepare a restoration project plan which takes into consideration your requirements and budget. This will include design drawings, an engineer’s report and a detailed list and price of materials. With a restoration project, it is always worth considering that it should be possible to extend the floor area by at least 10%, sometimes more. It is worth checking. Once the design is agreed, the project is submitted to the local comune, or, council for approval. This takes about eight weeks for major projects. For minor improvements, such as installing a new internal staircase or bathroom the time taken for approval normally reduces to 20 days. Work must start within three years or the approval lapses and another application will need to be submitted. The Geometra can suggest reputable building companies to carry out the work. This is an important stage as quotes vary. It is advisable to contact more than one company, compare estimates, see examples of previous projects and negotiate on prices. If required, we can always help with this stage as our experience and fluency in Italian is a benefit. The chosen builder will produce a contract which will list all the details of works to be carried out. This should include the commencement date, duration of work, costs and payment schedule. A deposit is generally required at the start of the project to cover the cost of materials. The contract should include a penalty clause, if works extend beyond the agreed dates.